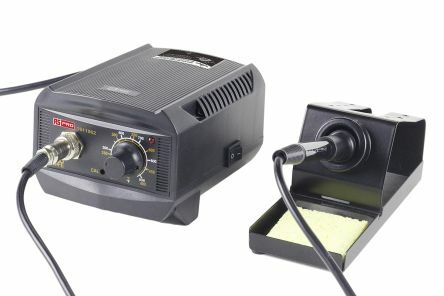 Introducing the RS PRO dual channel smart soldering station. A technically brilliant soldering product rarely seen at this price point. Designed for DIY and professional applications, capable of long sustained usage without fatigue. 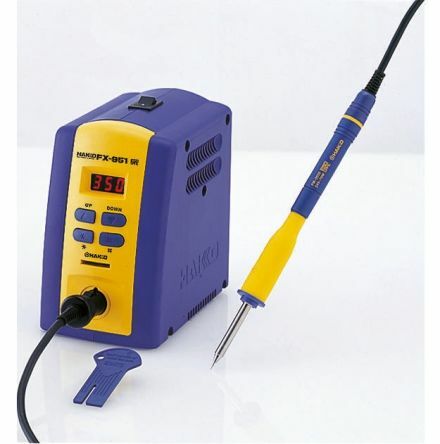 The ideal equipment for all your soldering and de-soldering solutions. 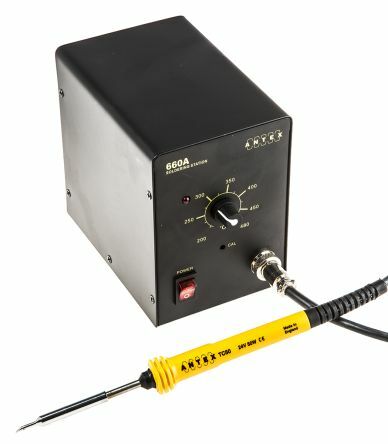 A customisable RS PRO dual channel soldering station that automatically recognises the soldering tools that you connect and uploads the corresponding parameters, plus the dual channels work simultaneously. Are replacement soldering irons and tweezers available? Yes, replacement soldering irons and tweezers are available please see datasheet for the full compatible list including soldering tip accessories. Analogue temperature controlTemperature set with PotentiometerTemperature range continually adjustable from 200°C to 450°CGreen LED indicates Power OnRed LED indicates heating upRed LED flashes when set temperature is reachedStation may be used with either 25W or 50W Irons.